Primary Excellence is a professional, modern teaching school who are determined to keep up with the rapidly changing world of education and wanted a beautifully designed website to match. Keeping inline with the Primary Excellence branding, the arrows from the logo were replicated and used as sliders on the website for the images, announcements and calendar, all highlighted in pink and perfectly contrasted by a deep navy blue. To attract attention to important information we designed graphic links for a homepage panel, each of which can be easily edited in the cms with new text and images. As a provider of many teacher training programmes, information, documents and resources are an essential part of Primary Excellence’s daily life. To ease access of these resources we built a bespoke membership zone. Members can easily view their course material, resources and important updates on event venues. 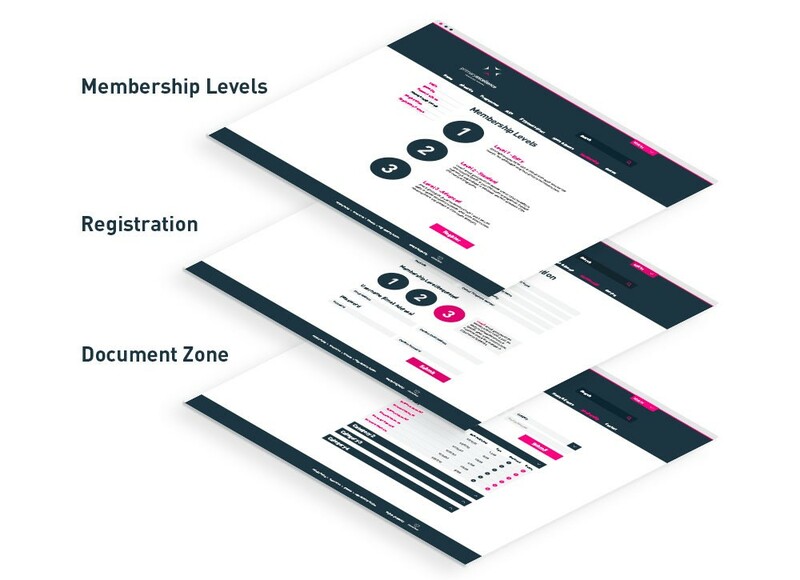 We created three different levels of membership, each with its own level of functionality, for example, course members can view resources chosen specifically for their programme, or a staff member can upload and share resources with other members.